Improvisation in a Magpie performance is not the antithesis of choreography or composition; it is how the choreography’s and compositions are made, out of practice both in the studio setting and the newness of real time improvised performance. A magpie performance is about the experience of being there, you are participating in the event and thus, in a sense, the work. Magpie was spearheaded by Katie Duck and was founded in Amsterdam in 1995 by dancers Eileen Stanley, Vincent Cacialono, Martin Sonderkamp, Sharon Smith, Michael Schumacher and Masako Naguchi with musicians Michael Vatcher and Mary Oliver and with light designer Ellen Knops. 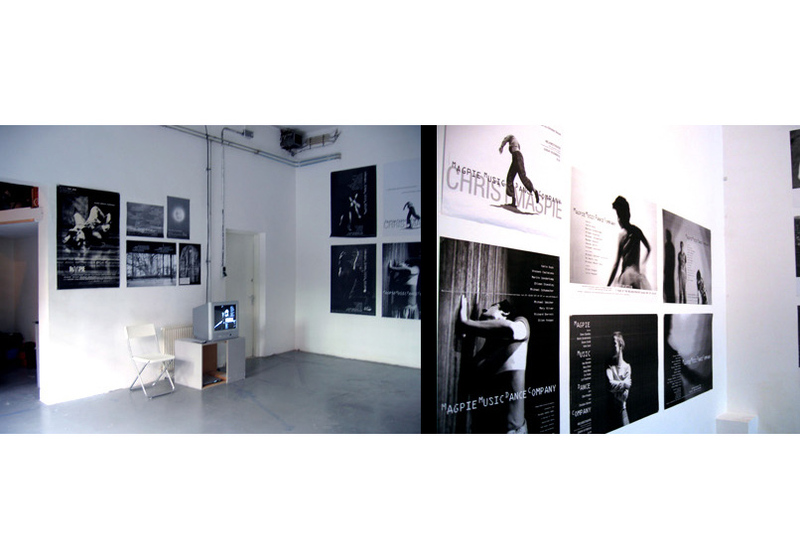 Magpie was formed in direct response to a need the artists had to re-consider and re-present Improvised performance within a contemporary context in Amsterdam and, as the work developed, internationally. Several of the founding group members were lecturers or former students at the school for new dance development (SNDO). The School had a rich history in the study and practice of improvisation with specific connections to the American Judson Church movement but the work was largely isolated within a community of dancers specializing in contact improvisation and improvisation methods. 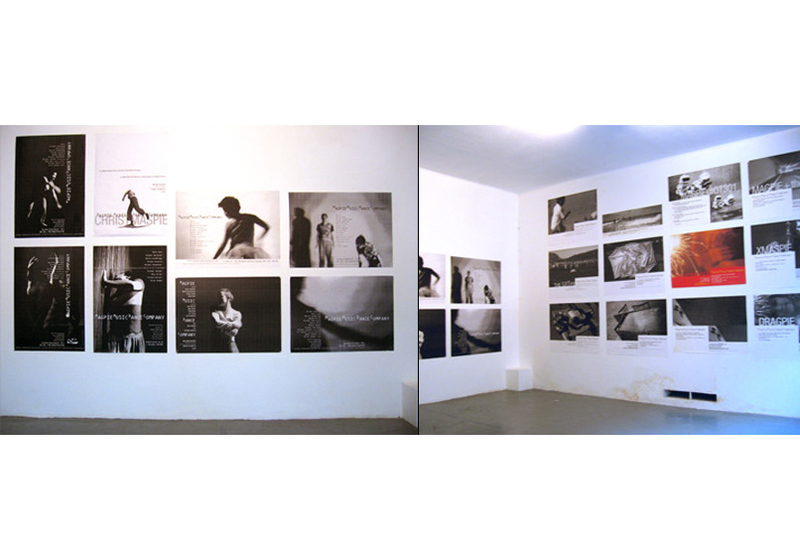 In Amsterdam, within the larger context of contemporary dance, improvised performance as an explicit choreographic approach was underdeveloped. 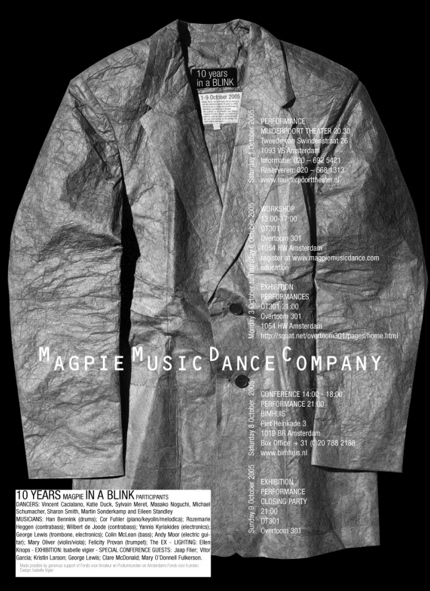 The founding members of Magpie wanted to develop the work in a contemporary context and re-look at improvised performance as a choreographic approach to a live event. From 1995 to 2000 the Magpie artists practiced privately in rehearsalstudios and publicly in performances. With Katie Duck as the main project co-ordinate, Magpie presented a monthly series in their Amsterdam base at the Fijnhout Theater, Melkweg theatre, Panama and OT301 cultural center. They also did extensive tours during this time in national and international programs and festivals, exposing the work to a broad range of cultures, viewers and contexts. Every performance combined different artists from the Magpie collective of artists with Ellen Knops as light designer in each situation.